For people who don't have a YouTube channel yet, it was easier to start from Gmail, as everyone can find that, click on more then YouTube is the third choice down. When you then click on your log in on the top right, a selection drops down where you choose Video Manager. This is where you would view all your uploads of you have any but on a new account it prompts you to make a channel. 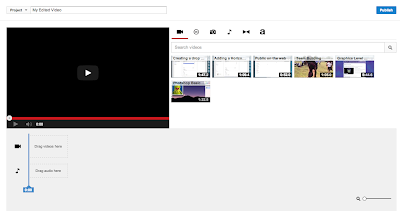 At the top of the screen is a nice big, friendly "upload" button, so we all had a go at uploading a small video onto the newly created channel. 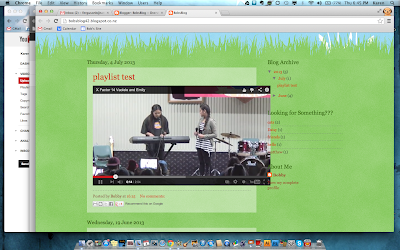 Then we moved on over to having a quick look at the YouTube video editor. It lists all your uploaded videos which you can then edit together with the simple to use tools that it gives you. It also lets you have access to some creative commons videos, which are good for having a practice. This is a good place to start for people with no editing experience as it is pretty user friendly and doesn't include too many bells and whistles to confuse the beginner. You can include music, titles and add some simple transitions. What really got people interested this week was when we looked at playlists. 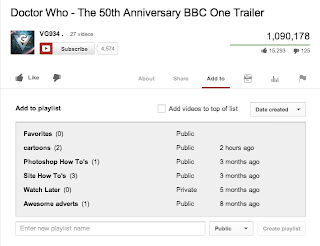 You can add your own videos to playlists or any that you find on YouTube made by others. 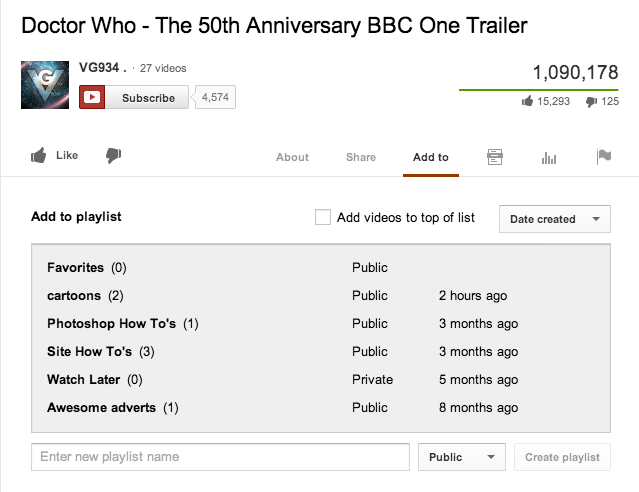 You can access your playlists from the video manager, down the side, underneath the uploads option. It shows all your playlists and how many videos you have in them. When you find a good video while browsing, and wish to add it to a playlist, it is very easy to do. Underneath the name of the video, there is an "add to" selection. When you click on this, it lists all of your playlists or gives you the option to make a new one. When we were experimenting with embedding a YouTube playlist, we discovered that the HTML that you get from the playlist will not work on a Google site, either giving you a "this video does not exist" message or only playing one video from the playlist, depending on where, of the two choices, you got the code from. This same HMTL code worked perfectly on a blog. A player is embedded which plays one of the videos with a skip button so you can skip to another in the playlist. you can see the skip button on this screen shot of a test blog. We have no idea why it would work on the blog but not the site and this was quite frustrating, but people went away happy with playlists on the whole, as they are useful tools to collect like videos together and play them all without having to play lots individually.